My first visit to Prince Edward Island was last summer, when we spent two night at a B&B on tall red bluffs overlooking the ocean. The boys hunted for sea glass on the shoreline, we climbed a lighthouse during a wild storm, and Danny fell hard for a locally distilled gin. On that trip we played Anne of Green Gables on the minivan’s DVD player and didn’t resist falling in love with the Gentle Island. We knew we had to come back to explore more of P.E.I. and this summer it happened, with a little help from their tourism board. Travel is a big part of our developing family food culture; our children learn about and sample the local fare, whether it is freshly dug clams or pan-fried fish. This topic is a little different from my usual blog content, but as many of you enjoyed reading about Mexico and Nova Scotia, I thought you’d like to join us on the beautiful Prince Edward Island. On our first night on the Island, we found the beach about 5 minutes after checking into Shaw’s Hotel. Coming over the dunes and seeing the brown sugar sand stretching for miles in either direction was unforgettable. How did I not know beaches like this even existed in Canada? We stayed for sunset – how could we leave? As the waves lapped my ankles, I exhaled deeply; absorbing the calm that the expanse of still ocean brought. 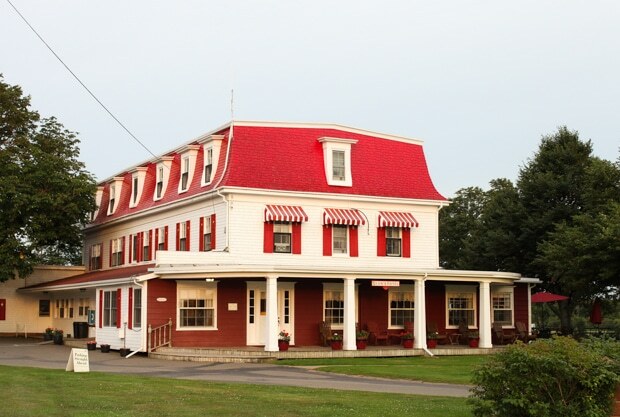 We stayed in the heart of Green Gables Shore for the first half of our visit. I could feel Anne-Girl all around, although it was more in the curves of the sand dunes and the rolling emerald hills dotted with quaint farmhouses than the commercialism I was expecting. There we were, at high season in the most touristy area and it still felt very ‘off the beaten track’. We didn’t encounter a single line-up, save for the occasional fish & chips stand at lunchtime, and there was an laid-back feeling to everything that was most refreshing. Our base camp for the first few days was a cosy cottage on the outskirts of Shaw’s Hotel, Canada’s oldest family-operated inn. Our place had a view of the water, plenty of space and was immaculately clean. We could walk to Brackley Beach, and most of the local attractions were within a 15 minute drive. Our first official outing was to Green Gables Heritage Place, a restored farmhouse that once belonged to the aunt of author L.M. Montgomery and inspired the setting for the Anne books. No, it’s not the original movie set or an amusement park, but a deliciously quaint destination, full of late 1800’s nostalgia and maintained to the utmost. I could have stayed four hours, examining every item in Marilla’s dairy room, kitchen, and pantry (on a related note, I now need a dairy room of my own). Just when the kids needed to burn off some steam, we discovered the path to the Haunted Woods, and they were off, climbing trees and skipping through the shadows. Danny and I didn’t make it to Lover’s Lane, but only because I had to pay a second visit to Anne’s room, with its spring green curtains and flowered wall paper. Clara cat-napped in the van while we drove to PEI Preserves Company for lunch (above, right). Danny and I dipped our spoons into hearty chowder and shared a salad; the children took advantage of the kids’ menu and the best PBJ, homemade preserves and all. 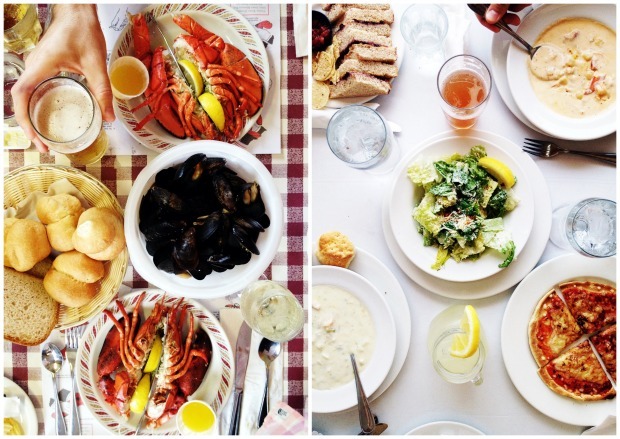 We would return to the picturesque New Glasgow the next day for their famous lobster suppers (above left), at a third generation family restaurant that has been serving lobster in New Glasgow since 1958. How did I feel about more seafood? Just fine. We slipped into the quaint Avonlea Village just in time to watch a three-legged race. Then Noah joined Anne’s team for an egg-and-spoon race – and won! There was still plenty of time to stop for Cow’s Creamery ice cream in the shade of the Avonlea schoolhouse before watching the pig race. Fascinating tidbit: this was the same schoolhouse that Montgomery taught in during her days as a schoolmarm. We could have stayed all day, but we had dinner reservations, and when our meal looks like this, I’m the first in line. We had enough time to freshen up at our cottage before heading to a highly anticipated dinner at Shaw’s Hotel. 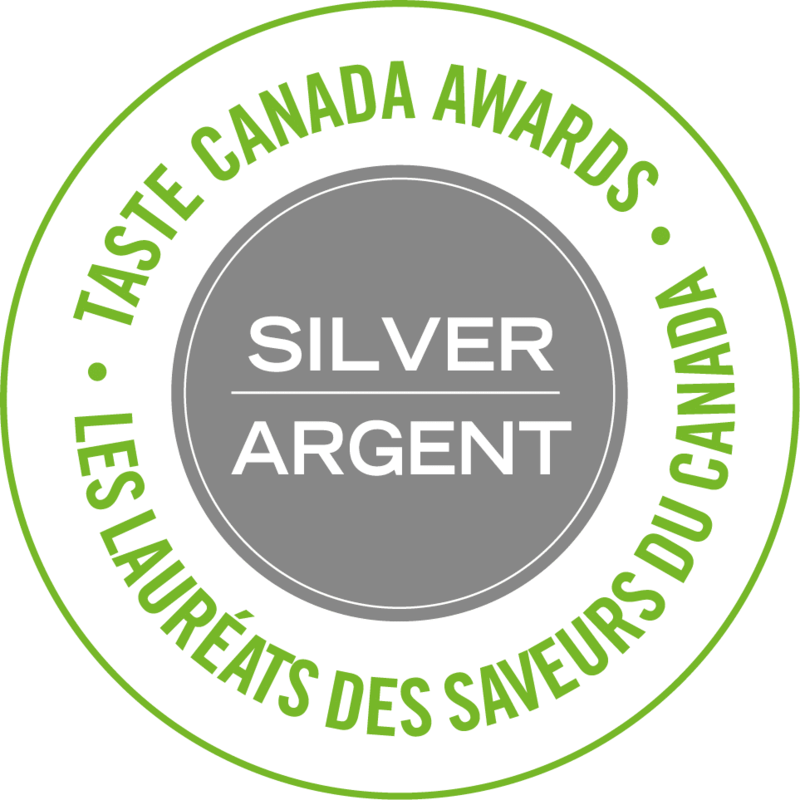 Their chef, Peter Angus, was kind enough to accommodate my boys’ selective palates and prepared them pan-seared halibut with homegrown green beans and house fries. I think there was complete silence at the table as they cleaned their plates. Danny and I decided ‘when in Rome…’ and ordered lobster, mussels and a fresh clam pasta. In the end there was nothing left but a pile of shells. 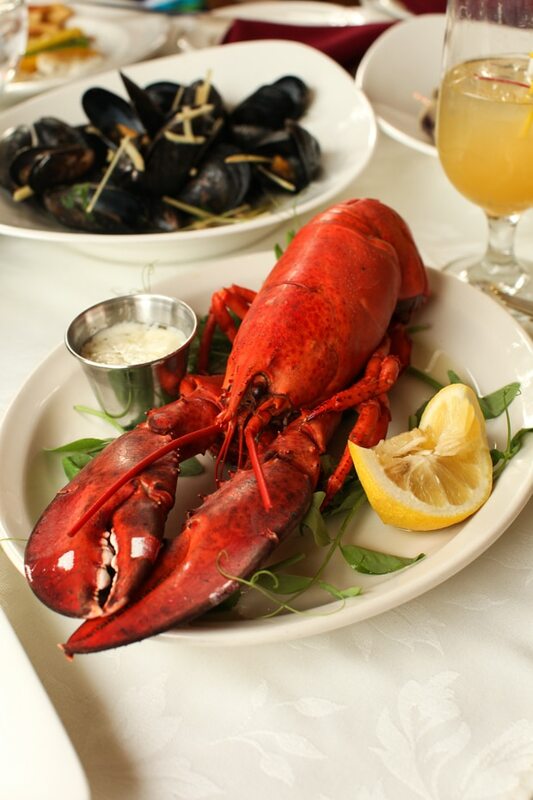 When seafood is that fresh and skillfully prepared, it’s absolutely the best food in the world. We spent as much time as we could on Brackley Beach where we sculpted sandcastles, walked for miles and played in the gentle waves. When we got hungry, we’d head for Richard’s fresh seafood eatery just up the road. 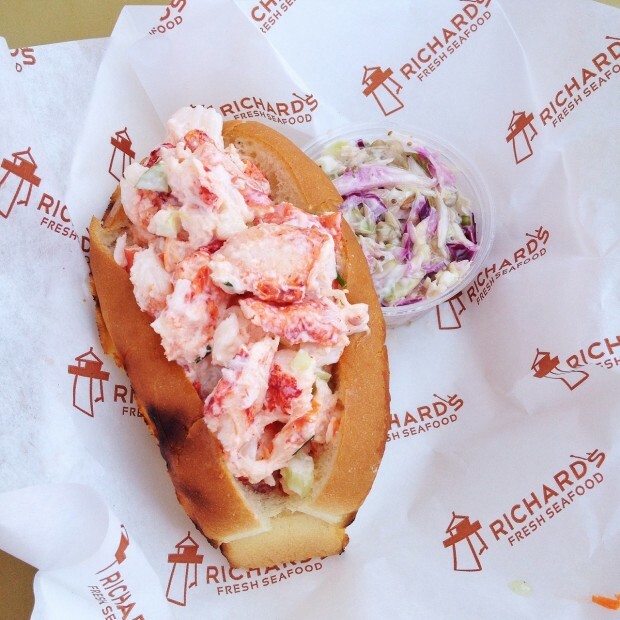 The line-ups were long, but he just might have the best lobster roll on the Island. Out of eight days of vacation, we only had one day of rain. Then we loaded up the van for a road trip and hit the North Cape Coastal Drive, a picturesque route if there ever was one. Yes, the P.E.I coast is breathtakingly beautiful, but the interior of the island has its own charms. Rolling hills dotted with well-mintained traditional farmhouses, fields of golden wheat, rows of flowering potatoes, and green pasture. I’m discovering that landscape photography is a whole new skill that I have yet to master. I couldn’t quite capture the sheer beauty of the vast fields dotted with pretty white churches and ancient graveyards, all sloping down to the sea. Samuel’s Coffeehouse in Summerside made an ideal lunch and coffee stop, with plenty of healthy options on the menu, and smoothies that made my kids smile from ear-to-ear. Danny had mapped out four antique shops enroute using this handy PEI antiques trail, and so while the kids watched the LEGO Movie in the van, I dashed through the rain to hunt for treasure. 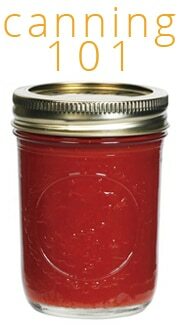 Vintage Fiestaware, ancient bakeware, enamelware and beautiful old jars were just a few of my finds. I also discovered a few first edition L.M. Montgomery novels and couldn’t resist their charms. The rain let up for us to explore around West Point Lighthouse. Remind me to book a room here on our next trip. Sleeping in a functioning lighthouse with the sounds of the sea outside my window? Sounds romantic to me. 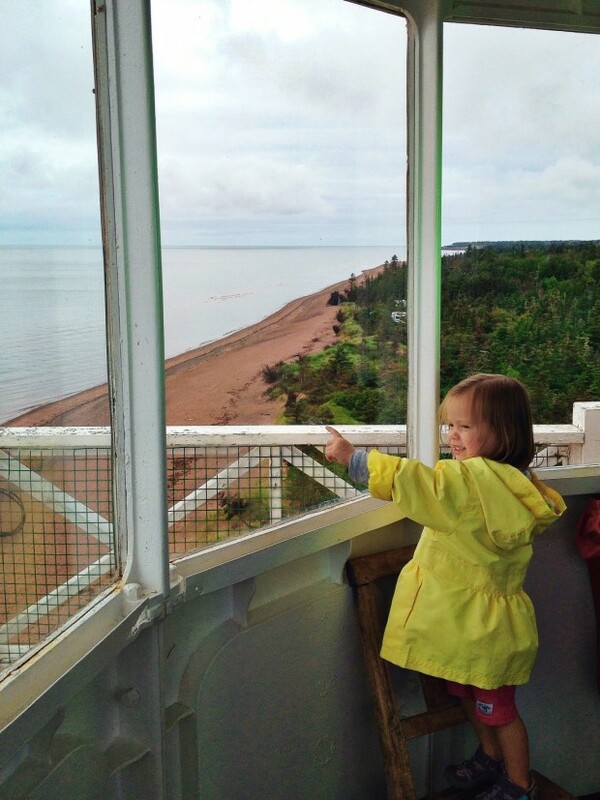 Clara had to have a look for the legendary West Point sea serpent from the top of the 67ft lighthouse. We didn’t spot it, but the view was remarkable, even on a stormy day. Mont Carmel had the prettiest church-scape of the trip. 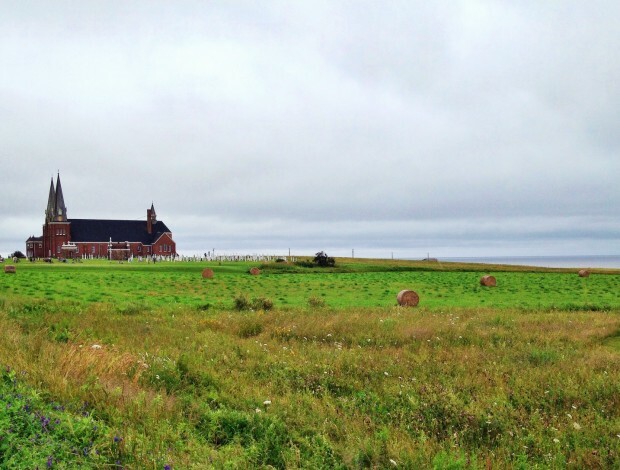 The historic Notre-Dame-du-Mont-Carmel Church is one of the Island’s oldest churches and towers over a magnificent backdrop of the Northumberland Strait. Truly majestic. 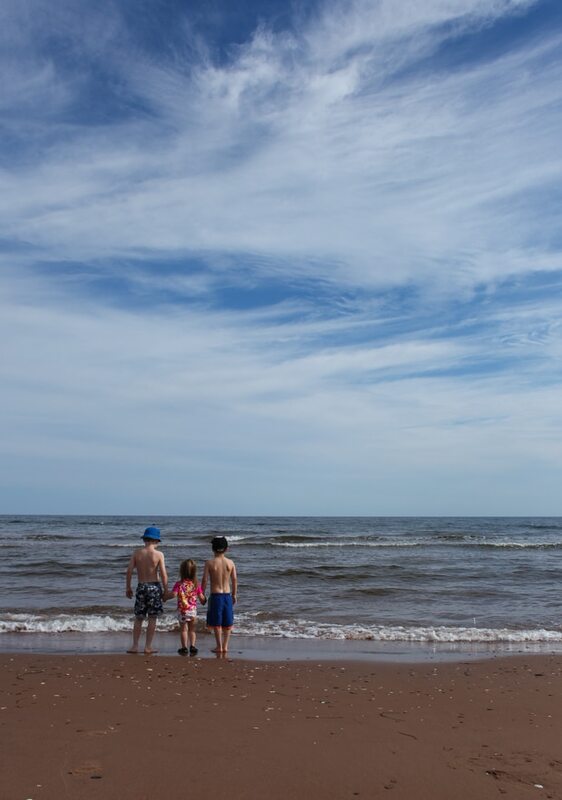 Part 2 of our family travel on Prince Edward Island is now live HERE. We dig for a clam dinner, discover Charlottetown and continue to fall in love with the beautiful vistas of the Gentle Island. Disclosure: P.E.I. Tourism partially sponsored our trip on the Island. All opinions expressed are entirely my own. Have you ever wished to travel to P.E.I? WOW!! Can I pack my bags now to go there 🙂 Stunning vacation clicks. My kinda travel! 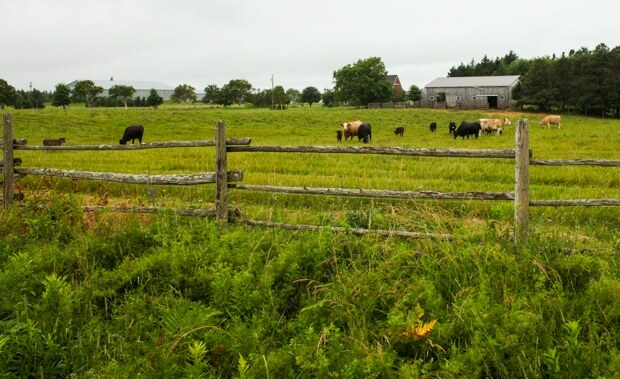 Adding Prince Edward Island to my MUST travel list! I’ve always wanted to visit PEI after reading the entire Anne series. Good thing my husband is from Canada and wants to explore all the provinces at some point, too. 🙂 Sounds like it is very family friendly, as well, which is a plus! I loved following your instagram feed while you were on vacation–such lovely photos! Oh Anne of Green Gables was my FAVORITE!! Was that on PEI!? The whole trip looks amazing- I have always wanted to visit that part of the country and it looks even better than I imagined! Heather, yes! Both the original story and the movie was based there. 🙂 It’s an object of national pride! The beauty, the seafood, the fun memories are all so alluring. It sounds like the perfect place for a second honeymoon as well! Planning your next trip yet? What?! You have been vacationing at Anne of Green Gable’s HOUSE? Avonlea Village? I didn’t even know this was possible? 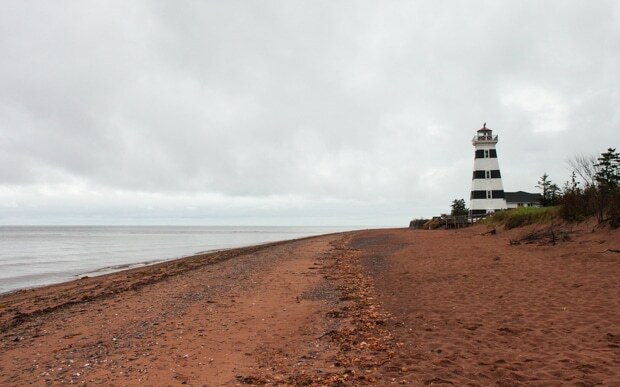 Visiting PEI has just been moved to the very top of my bucket list. Oh, I am really daydreaming now. Beautiful photos! It looks like a fairytale perfect vacation. Welcome back. You make me feel wistful and salivate at the same time. I want to go! Beautiful recap, Aimee! I want to go back and revisit all my favourites, many of which you hit up. I loved that it really is the Gentle Island and not nearly as touristy as I thought it might be. 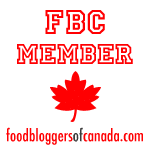 Breanne, thanks for all your travel tips for PEI. Let’s meet up there one of these summers. Your trip and pictures have made me rediscover why I fell in love with Anne of Green Gables in the first place. I never read the books or saw the movies when I was a child, so I discovered their beauty as an adult. I have read and reread them many times. After seeing your pictures on Instagram, my husband and I decided it was time to watch the movies together again. He loves Anne (almost) as much as I do. In fact, he mapped out how long it would take us to get to PEI from here (twenty-two hours :-/ ). It is certainly a dream to visit one day. It looks like you had a splendid time. I hope that you all adjust to being home again soon and I’m sure you’ll all treasure these memories for a long time! OMG, what a vacation. I just love these photos and really, what a beautiful place!! I don’t remember any food in the movies at all! How could you forget the mouse drowning in the rum sauce for the Christmas Pudding? Oh my gosh! I’d never thought about vacationing here even though I’ve loved Anne of Green Gables forever! 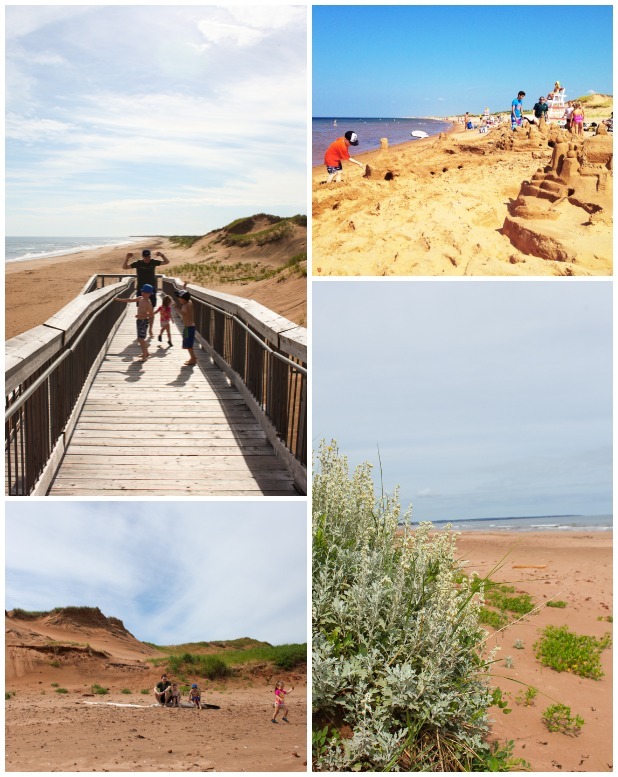 Thanks for showing us around — definitely adding PEI to the ‘some-day trip list’. Glad to hear it. Stay tuned for Part 2! I noticed Clara wearing a raincoat, and did not see the children in the water. What was the weather like? Chilly ? Your children are beautiful. The boys are growing tall. No the weather was beautiful and we swam most days. We had one day of rain (Clara’s raincoat day) and the rest was perfect. I just told my husband that I want to go to PEI today! He said it’s kind of a drive since we live in Texas. Your post is gorgeous and I’m bookmarking it so that *some day* when we go I can look up all the places you mentioned. I can’t wait for part 2! It’s good to have a dream trip planned. I’d love to come to Texas one day! 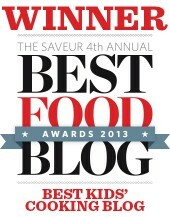 Do tell more about the dairy room! Love love love love this!! 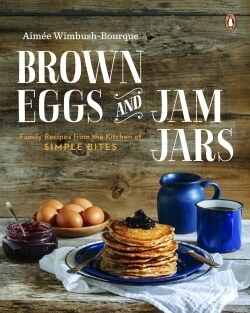 PEI has been on my “to visit” list sine I was 11 and this got me even more excited! I loved living the trip with you through IG. Thanks so much for sharing. I think I might just have to take my own babes there! It looks perfect! We spent many summers camping in Stanhope. 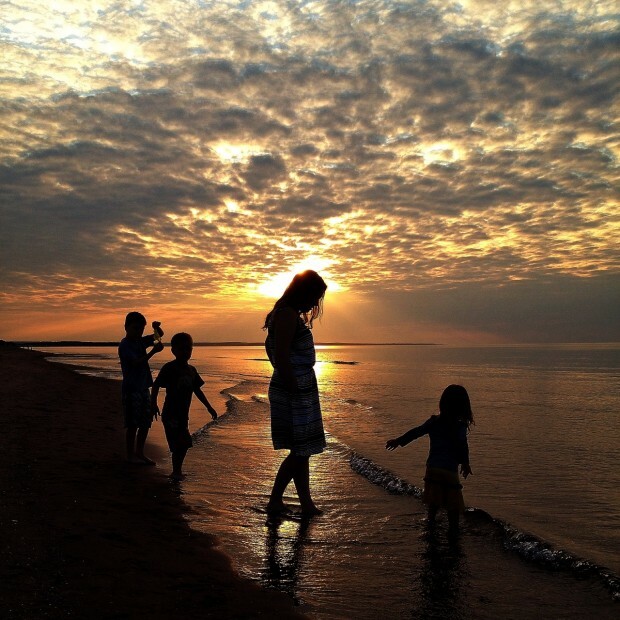 My kids still have great memories of PEI. Enjoy your trip. I have thoroughly enjoyed every bit of sharing you have done on this trip – both on instagram and now through these posts. I literally got chills just now looking at the photo of Anne’s room. Anne of Green Gables holds a special place in my heart. We used to watch it while we snapped green beans from the garden. And the 4 VHS tapes that took us from Anne of Green Gables to Anne of Avonlea (recorded from an old PBS broadcast) was just about the right amount of time to get the snapping done. I still can’t work with fresh beans without thinking of Anne. It would be a dream to visit PEI someday! My husband took me for our 15th anniversary last year. We only stayed for the weekend. It was not nearly long enough! I can’t wait to get back and enjoy those beaches again. And take my 12 year old Anne fan. What an amazing review of our little island. Having lived in PEI my entire life, it’s easy to take all of the natural beauty for granted. Ah, memories came flooding back from my honeymoon almost 10 years ago to the same location. 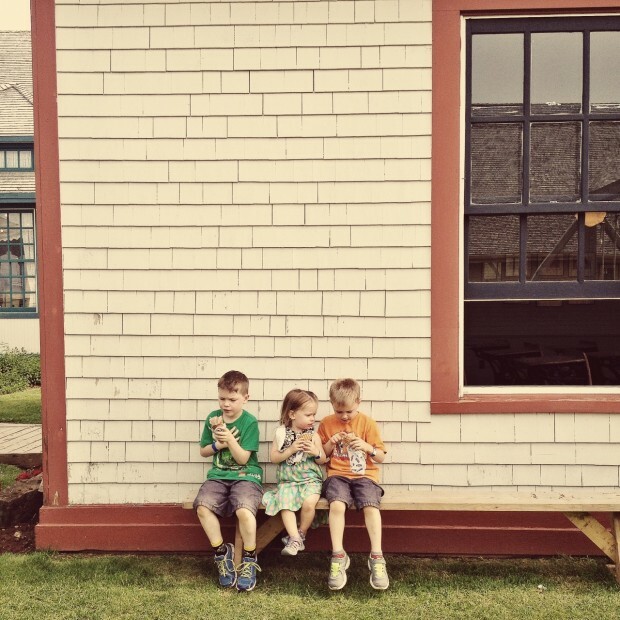 We visited the Green Gables Heritage Place, had a lobster dinner in Glasgow, and sampled some Cow’s Ice cream also…thanks for bringing some fun memories back to me. Hoping to take our two Anne loving girls with us for a vacation someday! I traveled there with my familynwhile in college and after this post and the fact that I’m currently reading Anne of Avonlea, I really want to go back with my kids! Thanks for the info! 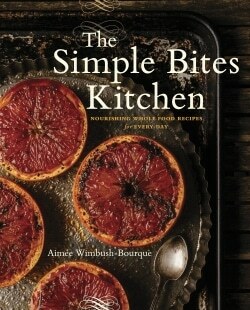 Oh yes, it’s definitely on my list! I live in close-by Moncton. 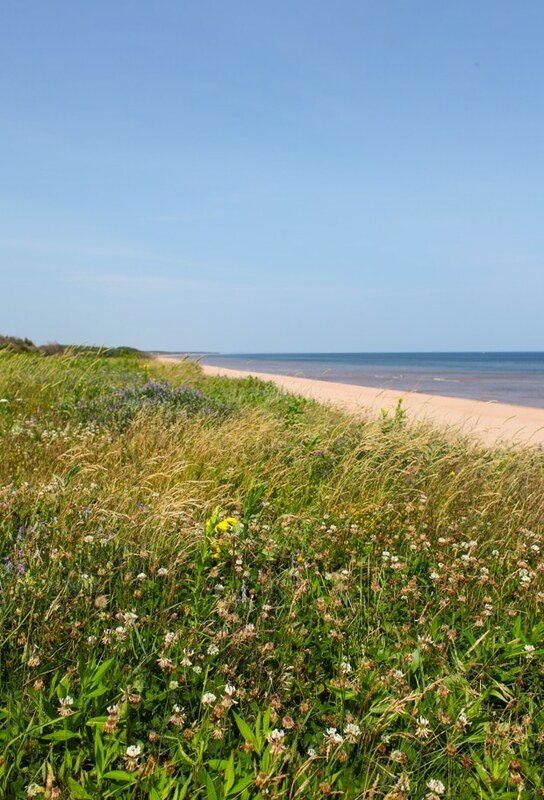 For any New Brunswickers, PEI is synonymous with vacations. 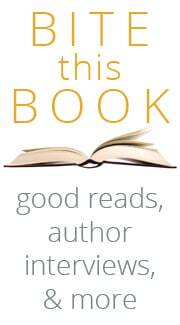 Your post is fantastic and inviting to anybody who will be reading it. It’s a beautiful land to discover! Thank you for sharing! Great review of our island! As you ate at the Preserve Company, you probably viewed our house from the dining room windows as you looked down over the river. Glad to hear you had such a wonderful time! Chrystal, so you live in that sweet town? How utterly charming. I love exploring Canada and PEI did not let us down. Loved reading your blog about the trip to the island…my grandparents grew up there and my mom was born there. When the grandparents retired from their jobs in Boston, they bought a little place in Richmond PEI. We had the delight to spend some time as kids there in the summer, driving up the east coast from Georgia. My grandmother’s cousin is still alive at 104 in CA, and she misses the island every day…I’m determined to make it back next summer! !